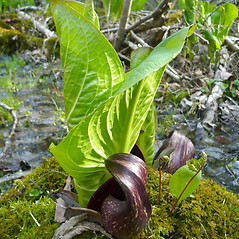 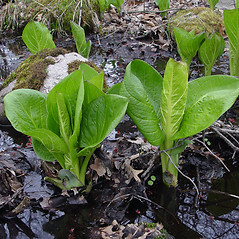 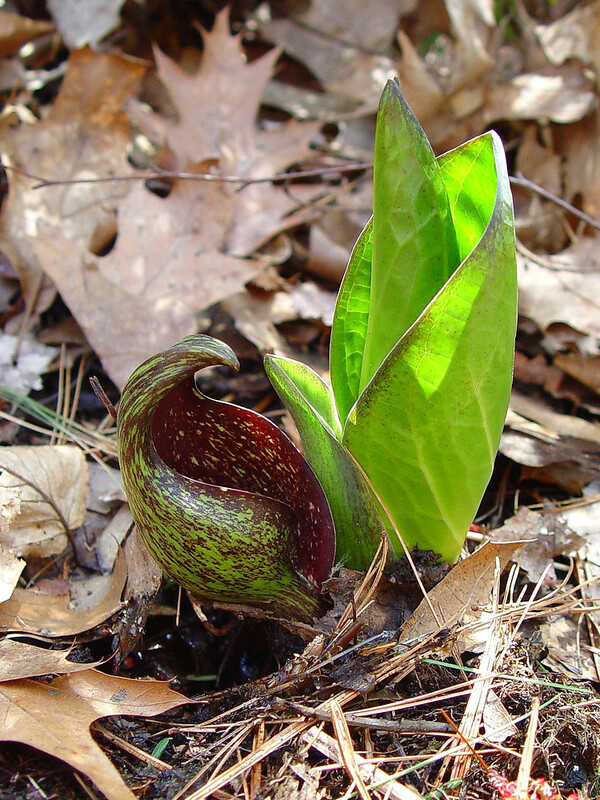 Skunk-cabbage is one of the earliest widlflowers to bloom in the spring. 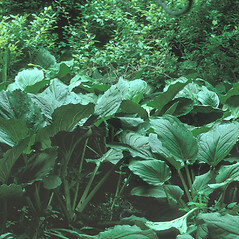 It is so named due to the unpleasant smell given off by all its tissues. 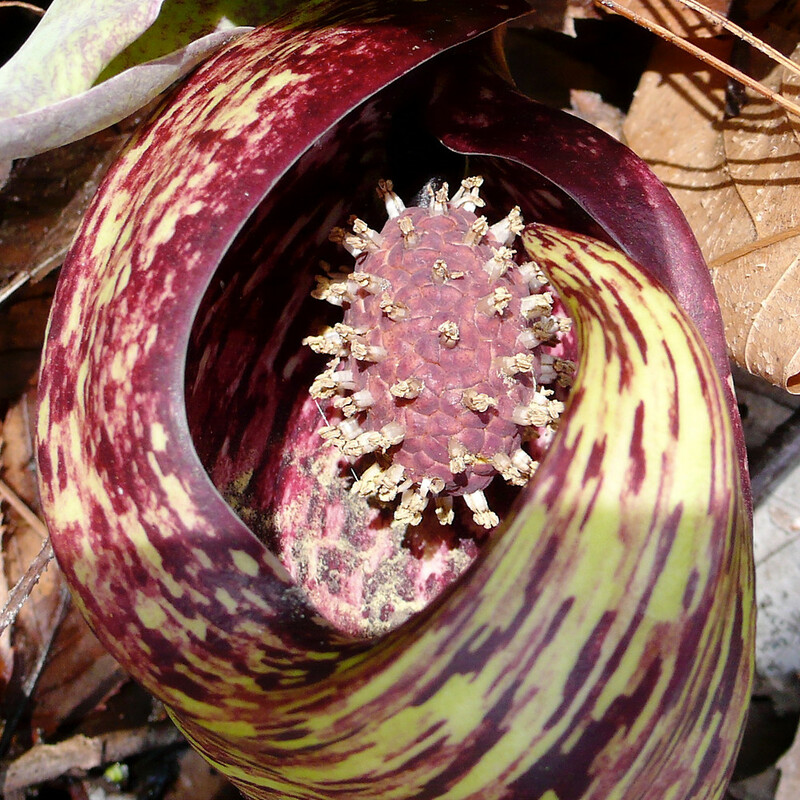 The plant has a heat-producing (thermogenic) inflorescence (spadix). 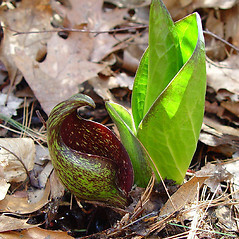 The combination of smell and heat attract flies and other insects that are typically attracted to carrion, and are the presumed pollinators. 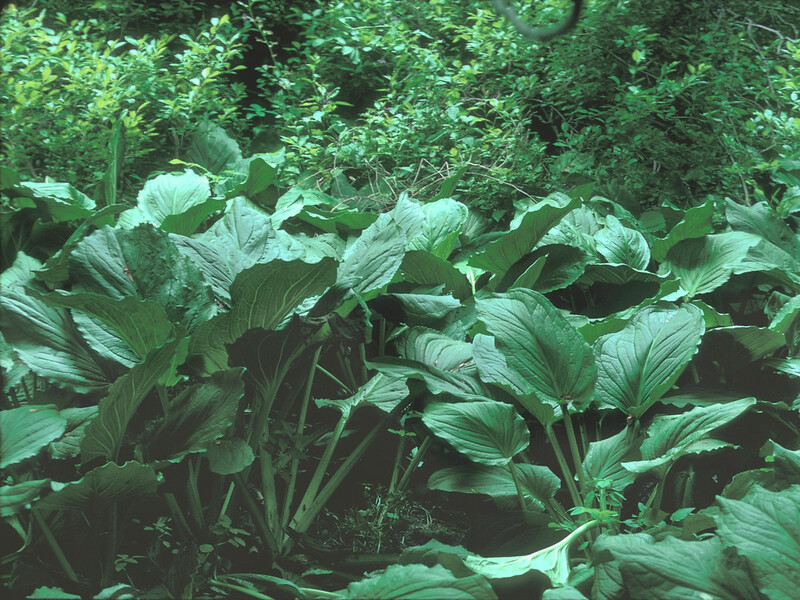 The plant was widely used by Native Americans to treat medical conditions ranging from epilepsy to swelling. 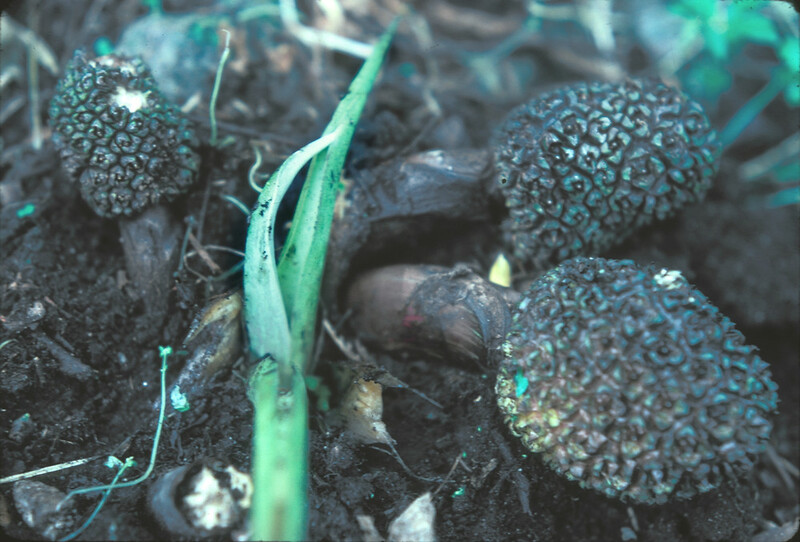 leaves with parallel veins and flowers in open panicles, not concealed within a bract (vs. S. foetidus, with leaves with branching veins and flowers in a fleshy spike concealed within a green to brown bract that is marked with purple). 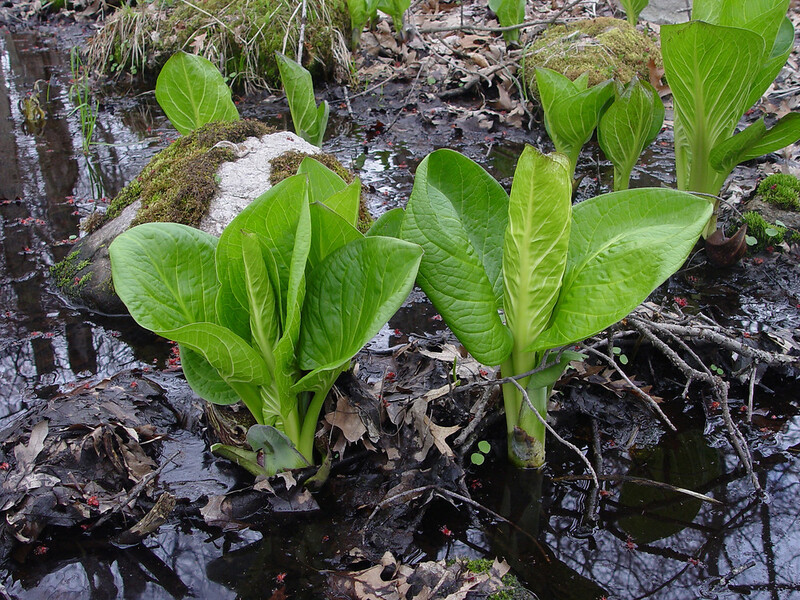 skunk-cabbage. 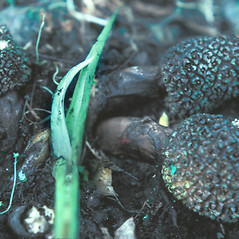 Dracontium foetidum L.; Spathyema foetida (L.) Raf. 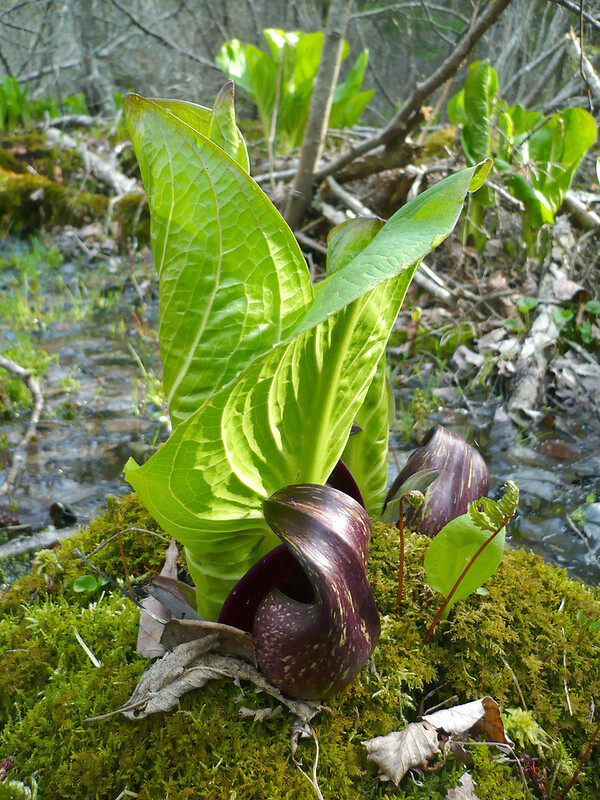 • CT, MA, ME, NH, RI, VT. Swamps, lake and stream borders, and hydric riparian forests.